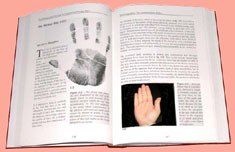 HAND READING BOOKS - Amazon Palmistry book TOP 51-60: bestsellers! The TOP 100 ranking is based on the combination of EXEMPLARS SOLD and 2-month AVERAGE 'Amazon.com Best Sellers Rank' delivered by NovelRank.com on december 29, 2014; earlier rankings were established on december 28 2013; december 31, 2012; august 14, 2012; december 1, 2011; october 2, 2011; december 5, 2010; july 28, 2010; february 28, 2010; and december 1, 2009. • The ↑↑, ↑, -, ↓, and ↓↓ represent trend markers for the ranking + the amount of copies sold at Amazon during the past 2 years - indicating respectively: 'significant improving popularity', 'slightly improving popularity', 'stabile popularity', 'slightly losing popularity' and 'significant losing popularity'! - The number of sold copies via Amazon is now presented as well, notice: this number represents the number of copies for a title sold via all Amazon-portals (including: Amazon.com, Amazon.co.uk, Amazon.ca, etc.). - The & are 'votes' send by hand reading experts from the 'Global Palm Reader Network' - names of the voters are listed HERE. - authors of palmistry books are allowed to send 3 'extra votes' for his/her officially published books (only one 'vote' per book). Finally, the books that receive the most 'positive votes' are listed in the TOP 10 of 'most recommended' palmistry books! And the books that receive the most 'negative votes' are listed in the List of 'controversial' palmistry books!